The Blonde Blogshell: Betty Draper would die of jealousy! Betty Draper would die of jealousy! A couple months ago, a friend asked me to model for her. If you know me, I am pretty afraid of cameras. I have the best hopes of what will turn out but then I see the picture or video and am like, really? I thought my hair/outfit/shoes/makeup looked cute that day and the picture just doesn't show that. It's really something I should be in therapy about but instead I just ask to see the pictures and slyly hit delete as I go through them. Yes, I am THAT girl! SO, I said yes to the modeling gig with the promise that it would be from my chin down. In LA, that could get you into trouble. I drove down to the OC and worked with the fabulous Cake Is Sweet and her wonderful assistant. They made me feel amazing and fixed every hair out of place. Now I see why the celebs always look so fab! I was so excited once I saw the merchandise I would be modeling. 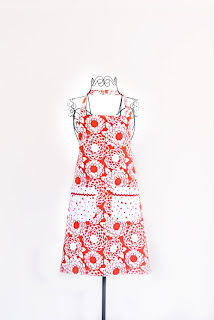 Two Scissors on Etsy makes and sells the cutest, modern and trendy kitchen aprons. 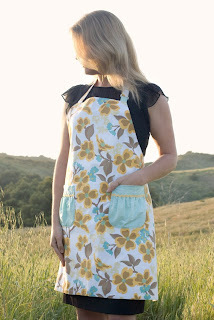 Every one of the aprons I wanted to take home and make a souffle or something with martini in hand. 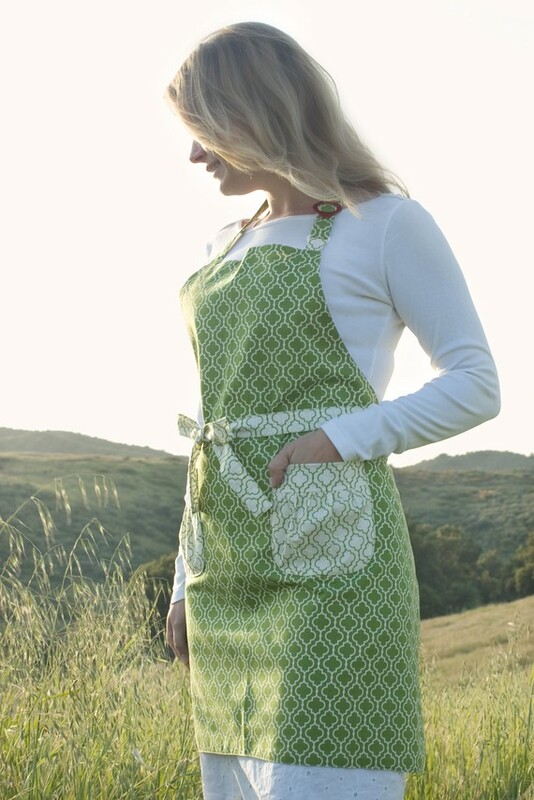 Ladies, do yourself a favor and order one for you, the new bride, Mom or Grandma, of your best friend. Maybe pair it with a cocktail shaker!?! Here are my favorites. 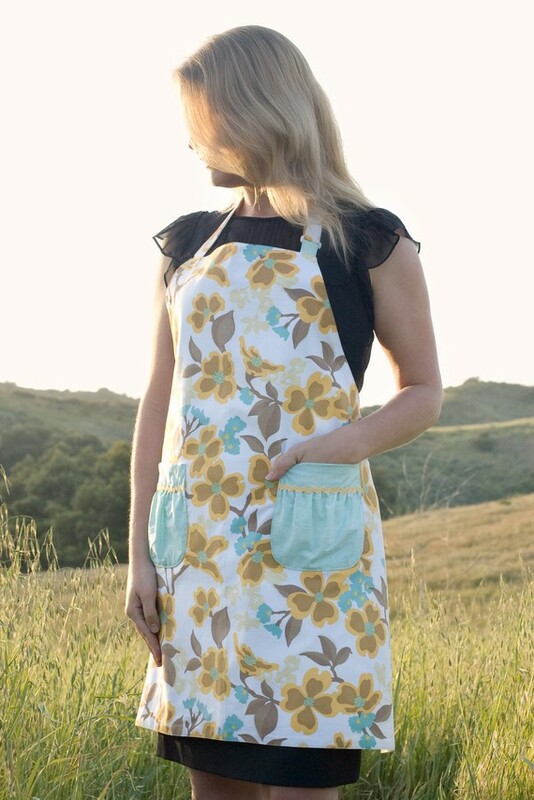 Don't miss the cute details in the contrast stitching, the pockets, and the clasps. LOVE! Can't you just see Betty with her wooden spoon in one hand and her martini in the other? 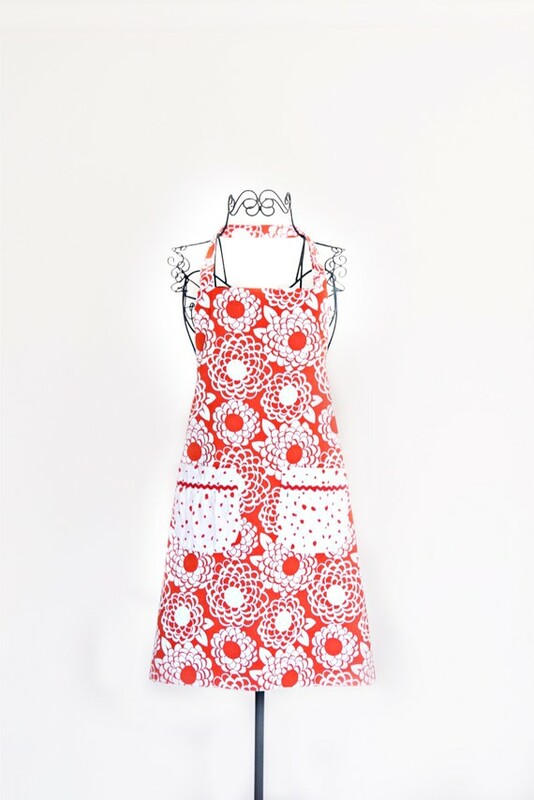 I love the Viceroy apron and if you have ever been into the hotel in Santa Monica, it's absolutely amazing inside. I even took pictures of the tile in the lobby bathroom. I love, love, love green.